Nodachi was said to be inspired from legendary mythology. Japanese Nodachi was a traditionally made two handed sword of Japan. Samurai Nodachi was a sword of Samurai class of feudal Japan. 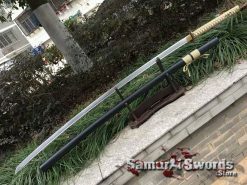 During the 5th century proof that this sword was created during that period was produce because of an unearthed sword found from a mound in Tochigi. 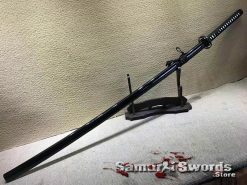 Nodachi sword was said to be closely affiliated to the Chinese Miao dao, westernized Spanish Espada Bastarda and Scottish Claymore. The “O” use for Nodachi means great. 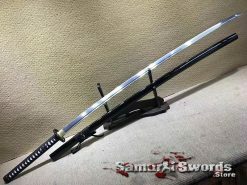 Even if the qualification for being classified as an Odachi means a blade length of at least 90.91 cm, there is no definite size for this sword. It is often referred to whoever used it as a great field sword. 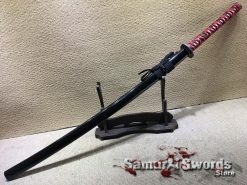 This is because Samurai Nodachi can a lot of damage to any enemy near the warrior using this sword. It is significantly longer than tachi in terms of appearance and design. This sword was carried by foot soldiers because of its size. This sword was specifically design for war. This sword was used on the open battlefields because of its length. Using it indoors or for close quarter battle would defeat the purpose for which it was constructed. However, this is not use most of the time. 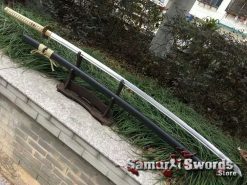 This sword is often compared to a Katana. Even today, collectors have differing opinions on which of these two is the better sword. 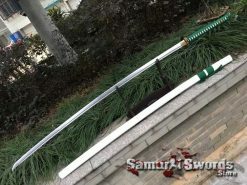 Some say that this sword falls under a great sword and a Japanese polearm because of its huge size. However, polearm were issued to armies because of its ease of use. In this case, this sword does not permit the owner to use it with great ease. Creating this sword needs teamwork. It would require an extra ordinary teamwork to create one. Making a Nodachi sword needs special facilities. Nodachi being longer than the average sword complicates the heating and forging process. Heating must be done to cover the whole blade so that it can reach the hardening temperature. The same thing can be said about the quenching process. A bigger quenching medium is needed because uneven quenching can warp the blade. Normal swords only need to be moved over polishing stones. 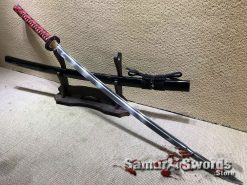 Since Nodachi sword is customized it will take time to make it. 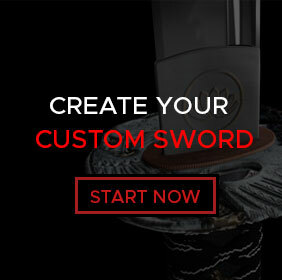 It is more expensive to create a longer blade. 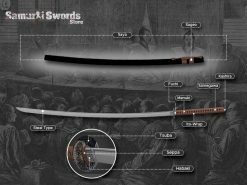 Due to the renewed popularity and interest in ancient Japanese weapons in the 20th and 21st centuries orders for this sword are pouring in. Our Nodachi sword comes in two steel variation. using 1060 Heat tempered steel, or 9260 Spring Steel, we do not offer Clay tempered blades for Nodachi due to its enormous size. In the battlefield, Nodachi was too long for a Samurai to carry on his waist. One way of carrying this sword is by slinging it on one’s back. It was impractical in the sense that a quick draw is not possible. Another way is to carry it by hand although it must be sheath to protect the one carrying it. The trend during the Muromachi era was for the Samurai to have a follower to help him draw it. A special drawing technique was taught by Fumon Tanaka that allows this sword to be carried on the waist. The technique was simply to pull out the sheath instead of drawing the blade. During swordplay, this sword focuses on producing downward cuts. There was a time when this sword was said to place fear in the enemy. In one Korean chronicle it states that from the opposite of the enemy camp this big sword captures the sun and look like lightning. The mere sight of this weapon can make Korean soldiers fall back. Nodachi’s importance starts to wane and died during the Osaka Natsuno war. Since then this weapon has been used as a ceremonial piece instead of a tool for war. The Bakuhu government set a law that prohibits holding sword above a certain length. Since the law was put into practice, this sword was cut down in shorter legal size. For serious collectors owning Nodachi is a rare privilege. 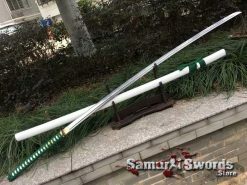 One thing is certain though, in the Land of the Rising Sun there exists a sword of extraordinary stature and this is it. Most authors prefer using Odachi because it connotes bigger size. This is a sword for the strongest of men at any given time. No wonder even some anime depicts characters that uses Nodachi.